Shurflo 24V Trail King 10 Pump 30Psi. 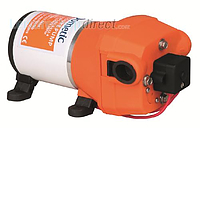 is an automatic 24v triple diaphragm pump with integral pressure switch. Pump only no fittings. Flow: : 10 Litres per minute. hi, i'm looking at installing a propex water heater in a motorhome.I already have a 24v leisure battery system, clearly I need a pump, pipes, & fittings. what else would be recommended? i will be running a shower, kitchen taps & bathroom sink. 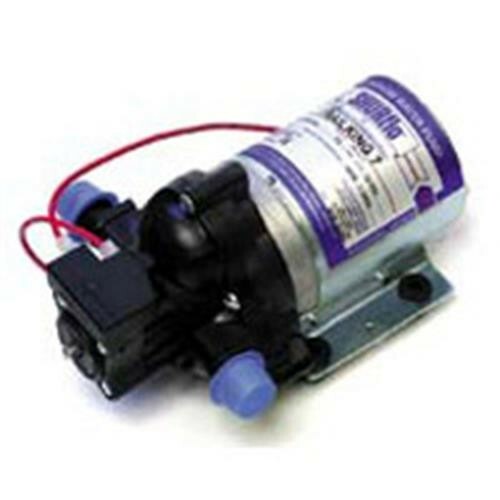 If you have a 24 volt system then I would recommend the Shurflo pump 127895. You may need a surge damper but the requirement for one of these will depend upon the piping capacity and layout. This can always be added at a later date if needed. You appreciate that the Propex heater only operates from 230 volt AC supply.